How to keep white office desks clean? These days the trend of buying new office desks is on the rise. Everyone keeps changing desks in their offices just to enhance the look of their offices. Office desks give more importance than any other furniture in the office just because more time is spent on it while working. Therefore, the desk that you choose must be among best desks. 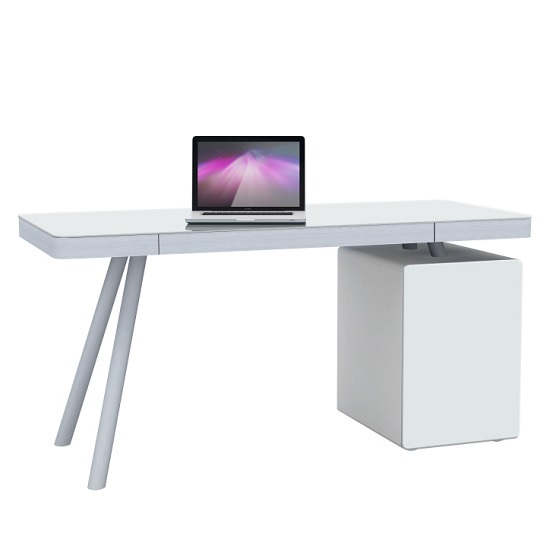 Office desks are found in various styles and colors but many people prefer white office desks just because white presents a clean and tidy look. Although, this is not always the case. Even though white presents a neat look, this is only the case when it is kept neat and clean. There are many people who do not know how to keep their white office desks clean. White office desks can seem very beautiful but they get dirtier than any other color of desk. People must clean their white office desks on a daily basis. For this purpose there are some simple and easy methods that should be used by us. First of all you must manage the things on your table properly. If the desk is crowded, you should remove all extra things that are not used by you or even things that are not necessary on the white office desk. Organize each and every paper, file and put things away properly in a good manner on your desk so that it looks better and not messy. Things or papers that you do not need, you should throw away to get rid of the clutter.